Denon | Reviews and products | What Hi-Fi? 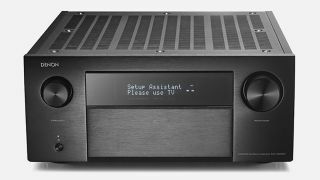 Can Denon's flagship AV amplifier justify its premium price tag? After a false start, this Denon proves every bit as able as its talented siblings. A potentially portable wireless speaker with decent sound quality. Denon’s no-frills wireless speaker sounds good and is simple to use. Does Denon's multi-room music system have what it takes to challenge the likes of Sonos and Bluesound? This Denon delivers a captivating home cinema performance. A strong contender, but its weaknesses are highlighted by its rivals. Denon's mid-price AVR-2309 multichannel receiver is entering a cut-throat section of the market. Can it compete with established rivals? Another well-built, nicely thought-out addition to the headphone hierachy from Denon.